Efren Camilo, it's a mexican musician that has made its way into the music scene as a guitarist. Inspired by great guitar artists like Joe Satriani, Gary Hoey, Andy Timmons and Eric Jhonson, he has developed a melodic style that have has made of a place in a medium usually dominated by "shredding" neoclassical figures and the use of complex technical elements as highlights for the interpretation of the instrument. 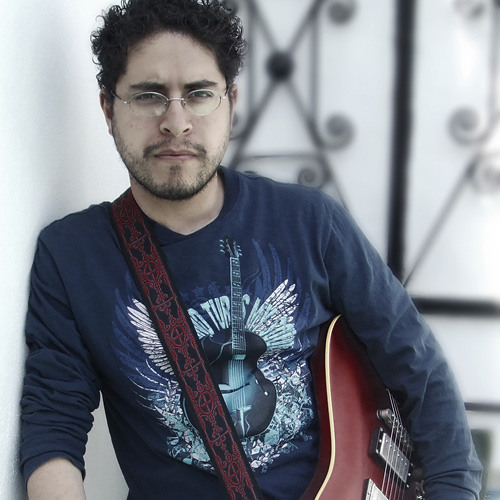 With an independent album in his career (Aquellos días - 2009), his talent on the guitar and composition has been recognized in publications such as Guitar Player on 2009 and competitions such as the International Songwriting Competition in 2010 and 2011. Besides being invited by the Collective Guitar Attack of Mexico for active membership in 2010. Currently working on the recording process to release "Chronicles".